Kenneth R. Nelson Construction, LLC is a fully licensed, bonded, and insured General Contractor specializing in new construction and remodeling for both commercial and residential buildings in Nevada and California. As a Design/Build Contractor, we will take your project from concept to completion, and work with you every step of the way to insure consistent quality and efficiency throughout the design, development, and building process. Big or small, we build them all with competitive pricing, top value, and full pride in workmanship. 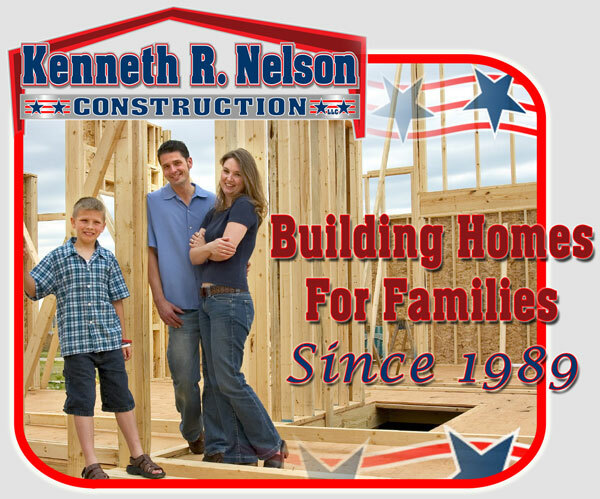 Kenneth R. Nelson Construction, LLC consistenly delivers quality construction, on time and within your budget, providing professional services and completed projects that exceed our clients expectations. We pride ourselves on working with only the best resources and sub-contractors available. Our craftsmen take pride in workmanship and make a personal commitment to a project from start to finish. In fact, we attribute our success to the quality of our construction professionals and the results they have produced since we started the company in 1989. From residential to commercial projects, no job is too big or too small. Our objective is to make sure you get the highest quality workmanship, the best value for your money, efficiency, and a pleasant stress-free building experience. We believe that communication is key in the success of a construction project. We will always be available to answer your questions and to address any concerns before a problem has a chance to develop. At Kenneth R. Nelson Construction, communication is a top priority, to insure that all parties are clear on the details and direction of your project from day one. As your personal Consultant, Kenneth R. Nelson Construction, LLC will walk you through each step of the building process, from planning and design to budgeting and material selection, plus we'll help you develop technical solutions, offer expert advice, and answer all of your questions so you'll be completely confident in every decision along the way. We provide an impeccable building service using high quality materials and maintaining constant on-the-job cleanliness, while uphoding stringent safety standards so important in today's world. As a reputable builder, Kenneth R. Nelson is fully Licensed, Bonded, and Insured in the States of Nevada and California. Honesty and uncompromising integrity provide the foundation of trust upon which the core values of Kenneth R. Nelson Construction's reputation is built. We believe in trusting relationships, excellence in performing services and meeting customer expectations every time. We care enough about our clients and our workmanship, that we will always go out of our way to assure you of the best job possible at the best rate possible, and at Kenneth R. Nelson Construction, we have stood behind those words every single day since 1989.